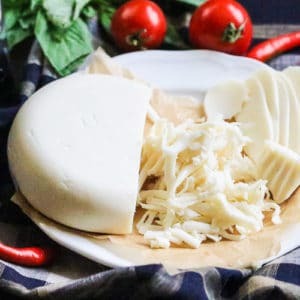 This Vegan Mozzarella Cheese is creamy, plus it slices, shreds, and melts!!! 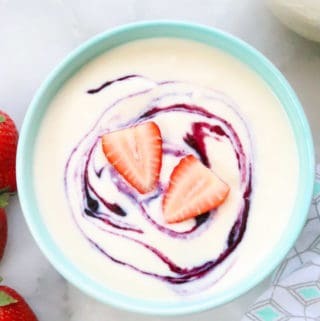 It takes only a few minutes and a blender to make – no actual cooking involved! 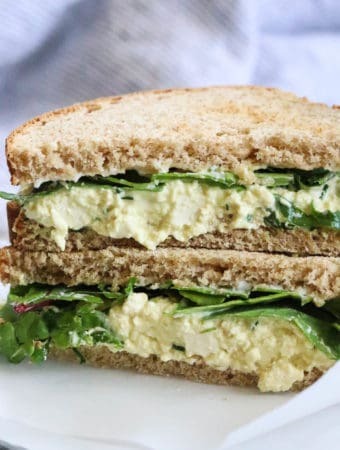 Everyone loves this amazing vegan cheese! You simply must try it! Melty-stretchy gooey cheese is something that I think all of us vegans dream of. Except now you don’t have to just dream about it! 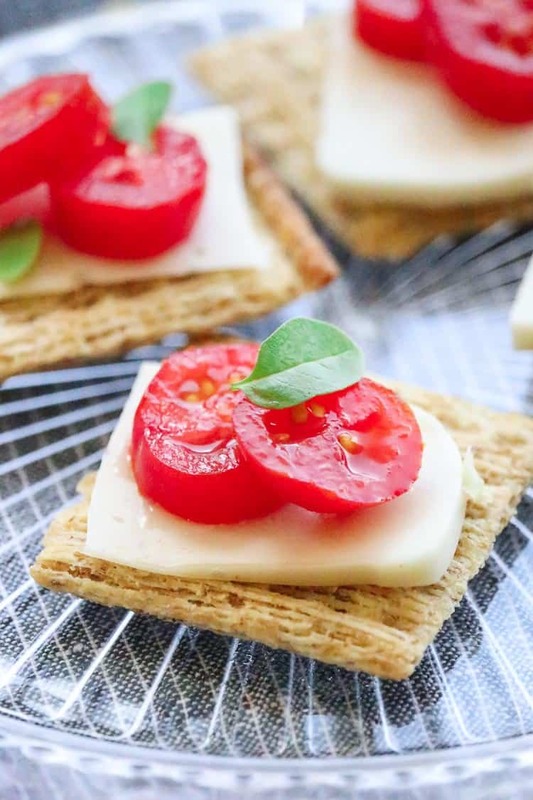 You can make it in your kitchen in about 5 minutes with just a handful of ingredients! So excited for your try this stuff! 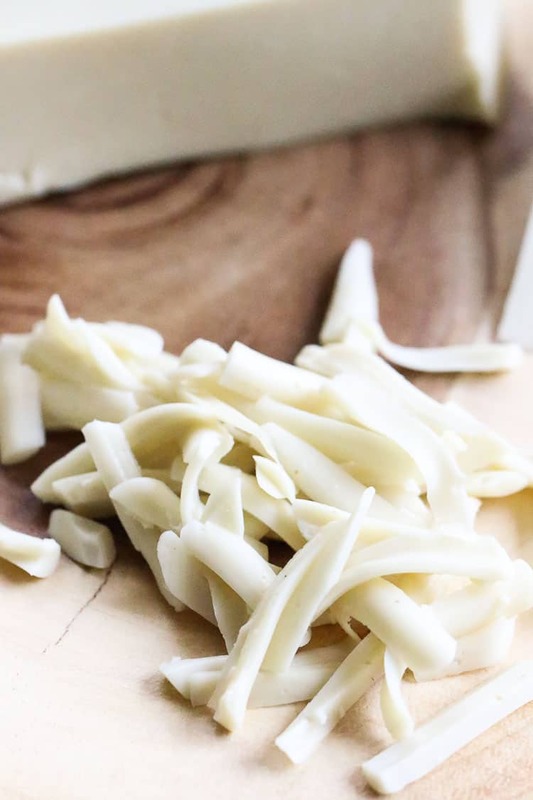 What does Vegan Mozzarella taste like? 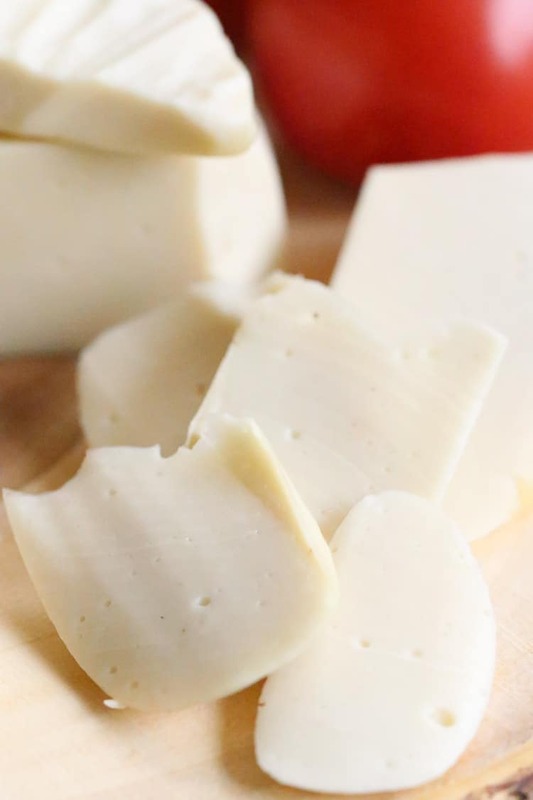 This Vegan Mozzarella is very mild and neutral flavored. 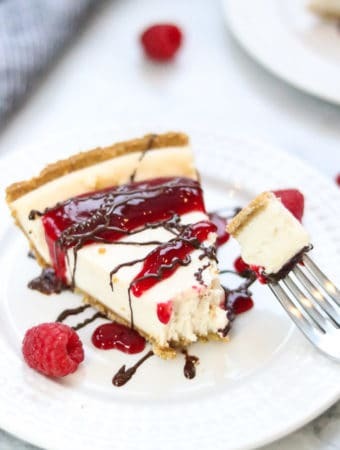 It is rich and creamy, and has bit of that satisfying cheesy ‘chew’. I think it tastes a lot like string cheese actually. 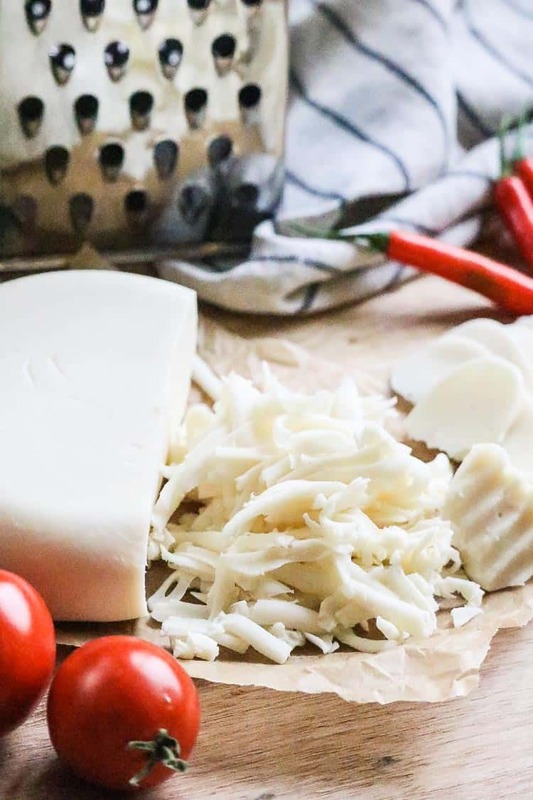 If you like spice, check out my Vegan Pepper Jack recipe and if you’re more of a smoky person, you’ll definitely love Vegan Smoked Gouda. 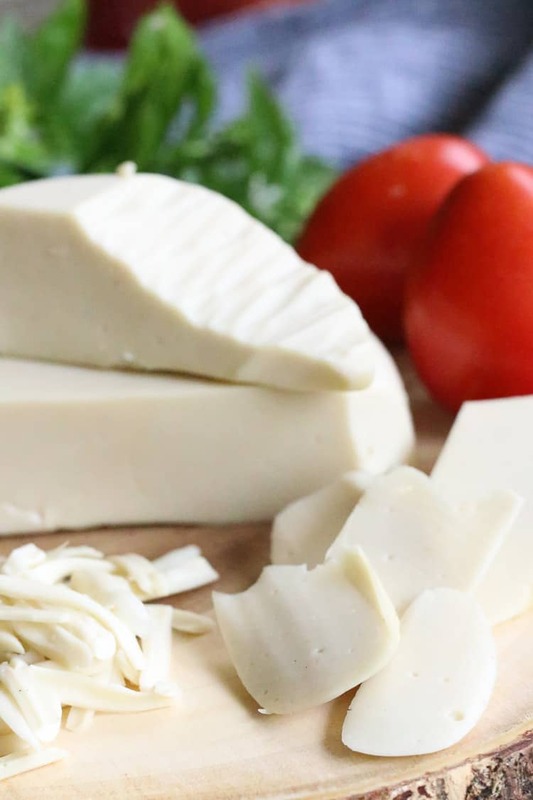 What is Vegan Mozzarella made of? Refined Coconut Oil – Please don’t miss the word refined. It doesn’t taste like coconut but it still turns solid at cooler temps and just has that wonderful richness. Tapioca Flour. This helps solidify the cheese, and also adds a ‘stretchiness’ to the texture. Kappa Carrageenan – This ingredient is what makes the cheese able to go from liquid to solid and back to melted state. It’s a wonder ingredient and not widely sold. (find it on Amazon or Modernist Pantry). 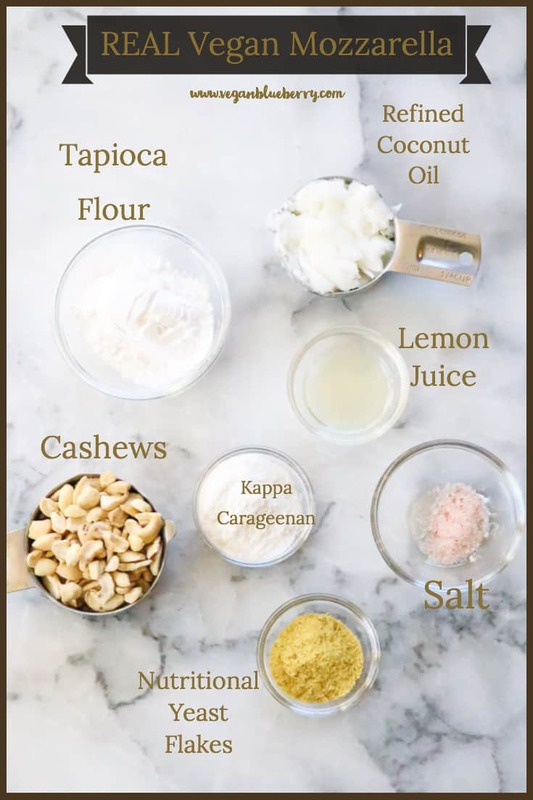 Don’t skip rinsing the cashews! (If you don’t want run water over them for several minutes, soak them in super hot water for about 5 minutes and then rinse again.) 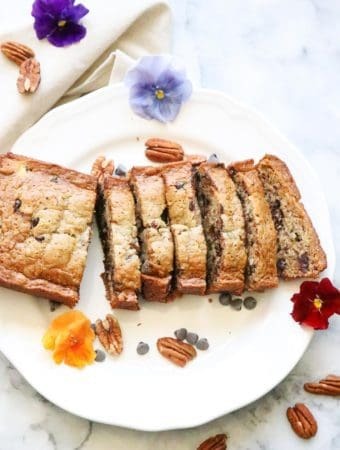 This step really helps to decrease the ‘cashew’ flavor in the recipe, while still using the wonderful creaminess of the cashew! 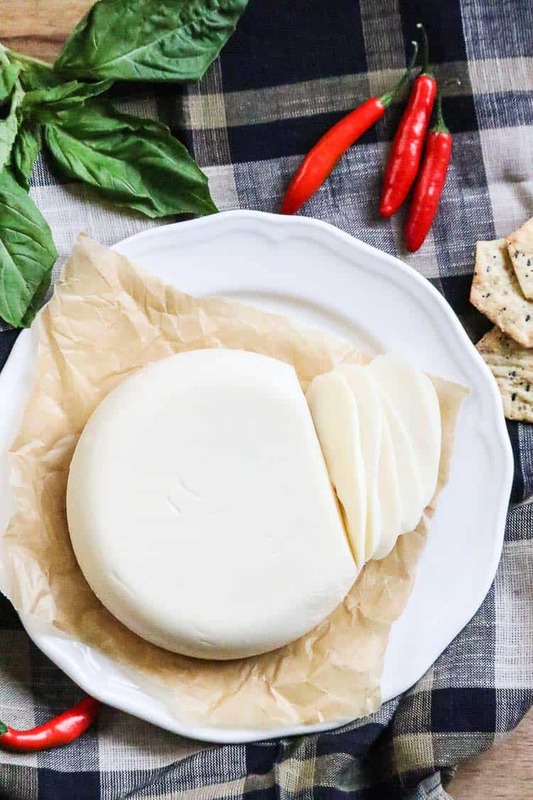 Can you freeze Vegan Mozzarella? Yes! 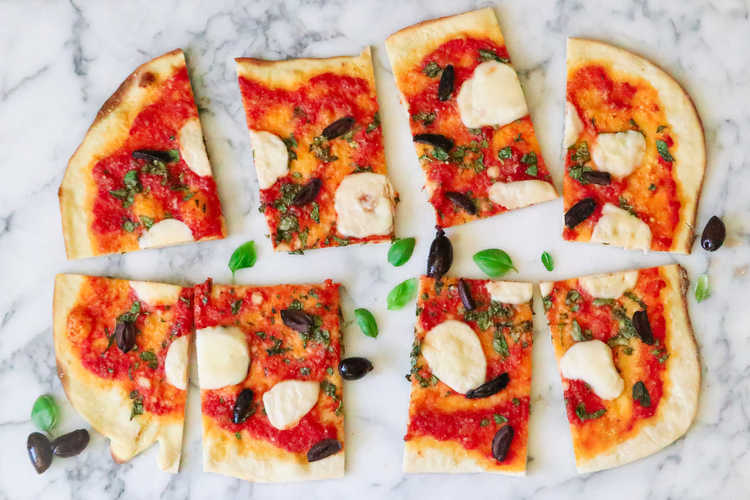 This vegan mozzarella does melt at higher temps, so if you’re baking a pizza you’re in for a melty treat! It also works great melted in quesadillas, shredded over lasagna, and breaded and fried as vegan mozzarella sticks!! Can you use Agar powder in place of the Kappa Carrageenan? The short answer is yes. Double the amount recommended in the recipe for Kappa Carrageenan and replace with Agar Powder. The long answer is also yes, but it won’t have quite as firm a texture and may not be quite as melty. Don’t replace the lemon juice with Lactic Acid. For some reason, the quick blending process used here does not work well with this substitution and your cheese may not set properly. After your cheese block has hardened, you can wrap first in a dry paper towel, and then tightly in plastic wrap. This will remove any excess moisture. Decrease Kappa Carrageenan amount to 1 tbsp. This texture is ideal for making Mozzarella Balls. 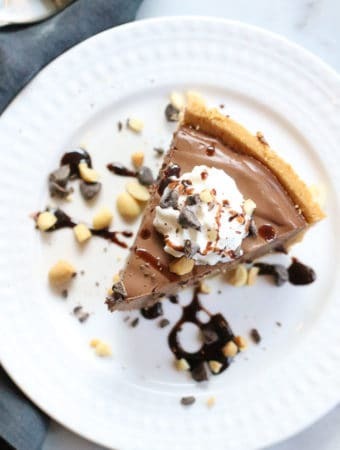 Whew, getting your ingredients together is SO much harder than actually making this, I promise. 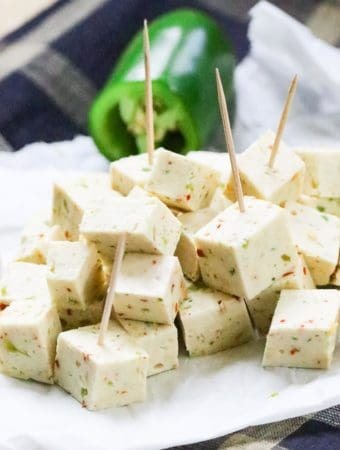 I cannot wait for you to try this so you too, can successfully make and enjoy yummy, healthy, Real Vegan Mozzarella Cheese!!! 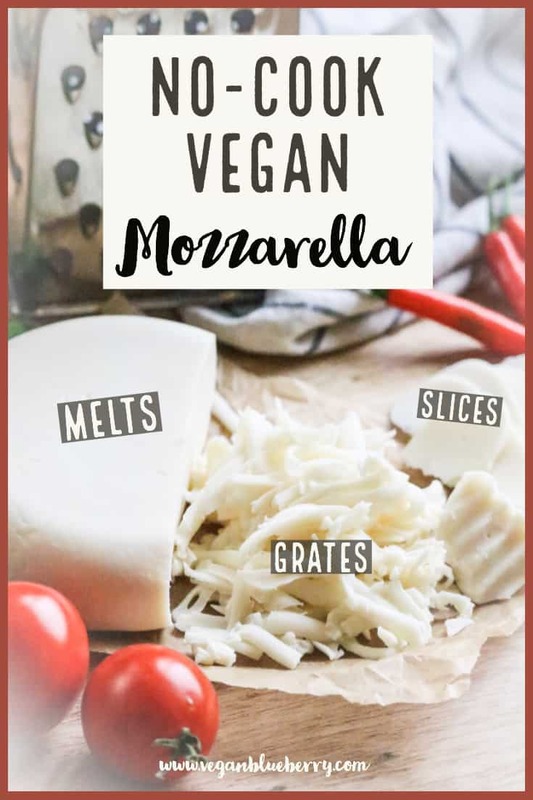 If you’ve tried this Vegan Mozzarella Cheese recipe or any other recipe on the blog then don’t forget to rate the recipe and let me know how you got on in the comments below, I LOVE hearing from you! 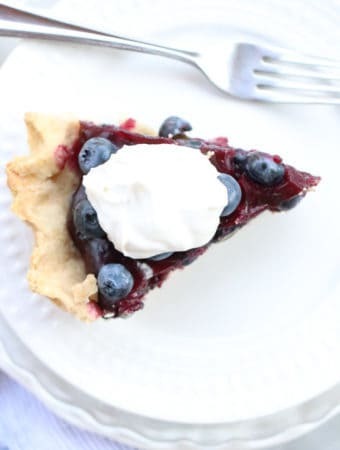 You can also FOLLOW ME on FACEBOOK, INSTAGRAM and PINTEREST to see more delicious food and what this blueberry farm girl is keepin’ busy doing!!! 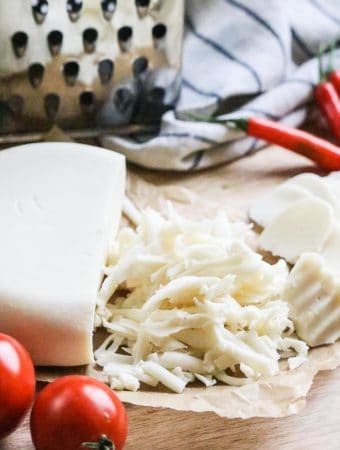 A Super Simple and Tasty Vegan Mozzarella Cheese that will slice, shred, melt, and blow your mind!! Rinse Cashews under HOT water for several minutes. Put your water in a small pot on the stove to boil. Add all ingredients (except the water!) to the blender. Add the cashews first and then everything else on top of the cashews. Carefully add (so you don't burn yourself!!!) the boiling hot water into your blender. Put the blender lid on! 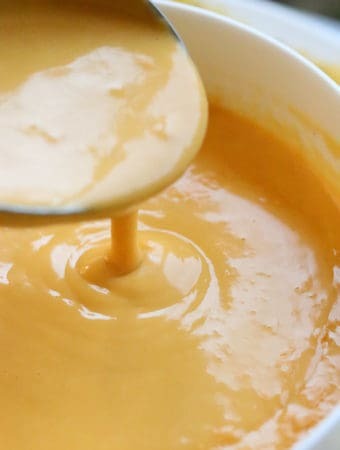 And blend immediately until completely smooth. Stop blending once if need be to quickly scrape sides of blender and resume blending right after. Immediately transfer your cheese to your chosen dish/mold as it will start to solidify quickly as it cools. Place in refrigerator to chill. No need to cover yet. After 2-3 hours or when fully chilled, remove cheese block from dish/mold and wrap in paper towels and then tightly plastic wrap. 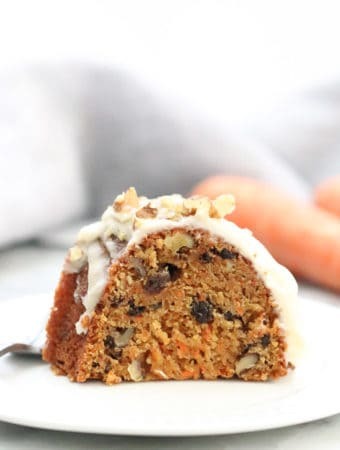 The flavor gets better over a day or two but it’s great as soon as it’s hardened, too. Yeay! You are officially a cheese-maker! Yes. Double the amount recommended in the recipe for Kappa Carrageenan and replace with Agar Powder. The texture will not be quite as firm or as melty. Don't replace the lemon juice with Lactic Acid. For some reason, the quick blending process used here does not work well with this substitution and your cheese may not set properly. Can you freeze this cheese? Made it two days ago and it set really well.. the taste is still a bit coconutty though, even with RBD oil. Is there any other oil I could use? Canola? Also, how long does it last in the fridge? Hmm, perhaps it’s the brand of refined coconut oil that you are using? Most people cannot detect any coconut flavor in the refined oil. 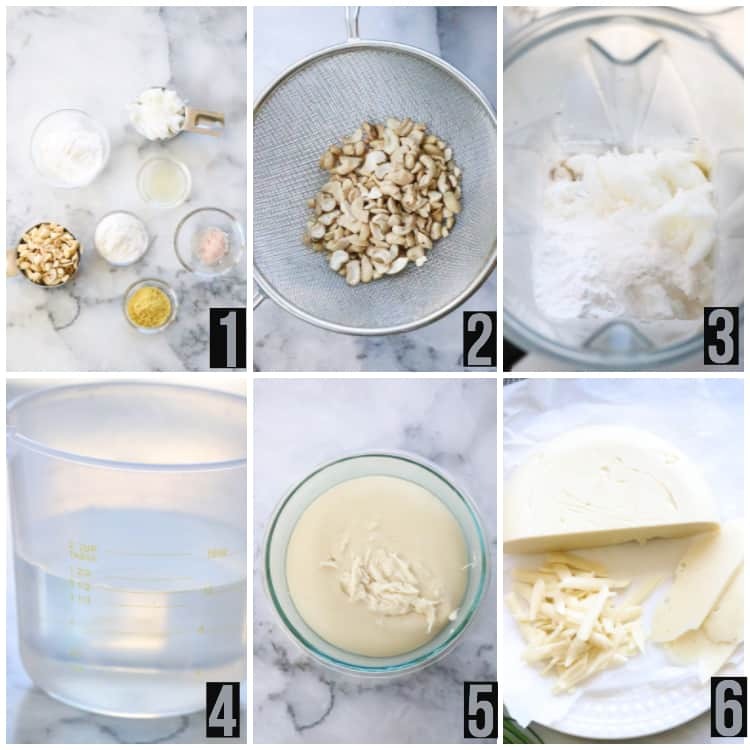 You can try replacing up to half of the refined coconut oil with another neutral oil, however your resulting cheese will be a bit softer…. The cheese lasts up to 5 days in the refrigerator but can be frozen, although the texture changes slightly. Hope that helps! Hi Rebecca! Could you use gelatin instead of the carrageenan? I’m assuming you’re asking about vegan gelatin or agar powder? Agar powder can be subbed in place of the kappa carrageenan, just double the normal amount of carrageenan. The resulting cheese is usually a bit softer but still very yummy! Hi Rebecca. 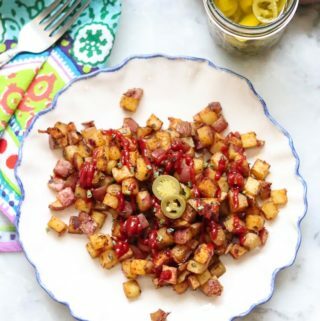 I just got my bag of Kappa Carrageenan and I am excited to try this very unique recipe! Will this work in a food processor? I do not have a blender at the moment. Hi! I’m sorry I can’t recommend a food processor for this recipe, mainly because it would be hard to get the cashews smooth enough. 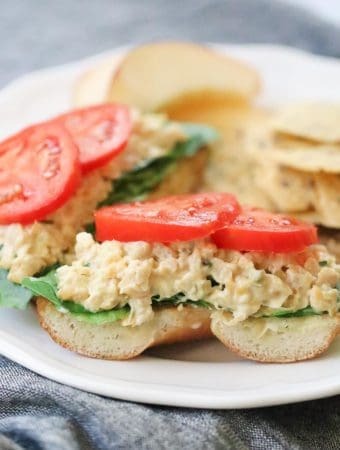 If you don’t mind cheese with some nut bits in it, you could certainly give it a whiz! Hope you get to try it soon!! can I soak the cashews for 4 -6 hours instead of rinsng them? Would that put too much water in the recipe? Soaking for 4-6 hours is fine or just soak them in very hot water for 5 minutes or so to soften, then rinse/drain and use them! Soaking just helps them blend easier and also tends to remove a bit of the ‘cashew’ taste! Have fun! It was a real success! My husband (a vegetarian) said : well, let’s have it all over the pizza instead of doing 50/50 cow/vegan cheese. And he was in LOVE !!!!! I am just wondering, how long does it stay good in the fridge? Is it freezable or will it loose its texture? You just made my day! So glad your hubby loved it too – that’s the best!! 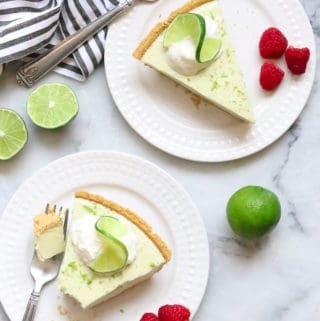 It lasts about 5 days in the refrigerator, and you can freeze it, however the texture is changed slightly by freezing. It still melts well tho! Hope that helps! Happy cheese making!